The Capital Region Development Authority (CRDA) is now planning to construct government quarters for the employees, Ministers and legislators in Amaravati. There would be separate quarters fro Judges, Senior Judicial Official, IAS and the employees. 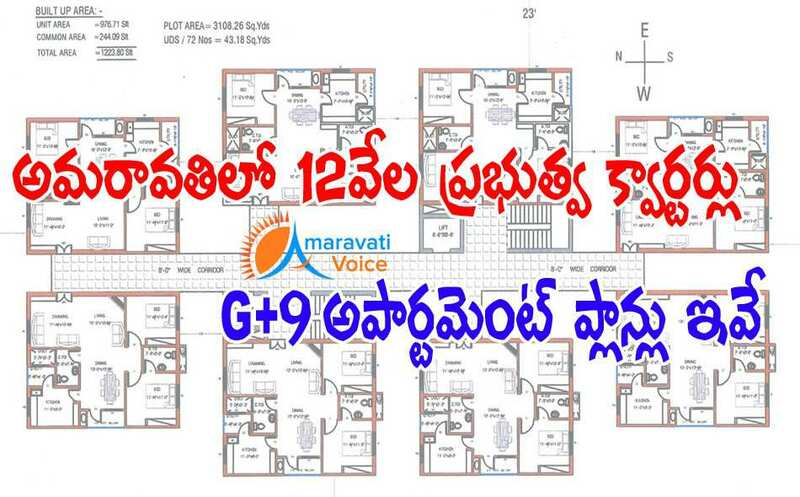 Judges, Senior Judicial Official, IAS officers would get duplex houses with 3-4 bed rooms, of 3,500 feet plinth area. Other employees would be accommodated in G+9 apartments. MLAs and the MLCs will have 3,500 feet plinth area in the group apartments. CRDA had roped in three senior officers from the State Housing Board to work on the housing project. Once the government allots the land, the work would be started. So employees will have a slice in their salary component related to housing? as govt is already providing and spending lot of money to provide housing to govt employees? when will common man get a house like that who are below poverty lines?